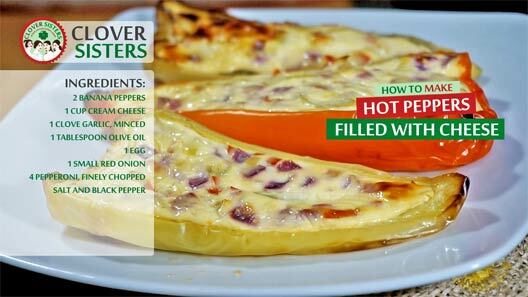 My husband and I love this really tasty and awesome hot peppers filled with cheese recipe and you going to, if you love HOT and delicious. Put the extra virgin olive oil into a heated frying pan, add the garlic, onion and pepperoni and cook for about 3 minutes. Beat the egg and add cream cheese, mix it together with a content from the frying pan. Season with salt and freshly ground black pepper. 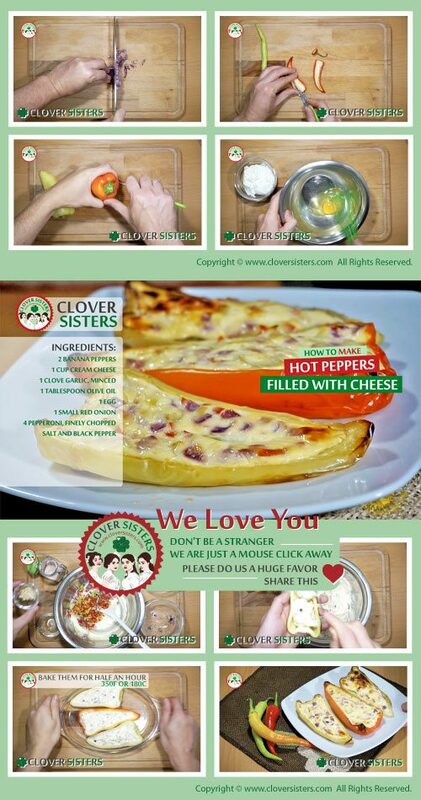 Cut the banana peppers in half lengthwise, remove the seeds and fill it with cheese mixture. Put the filled banana peppers on a baking paper and bake them for half an hour at 350F OR 180C or until lightly browned.